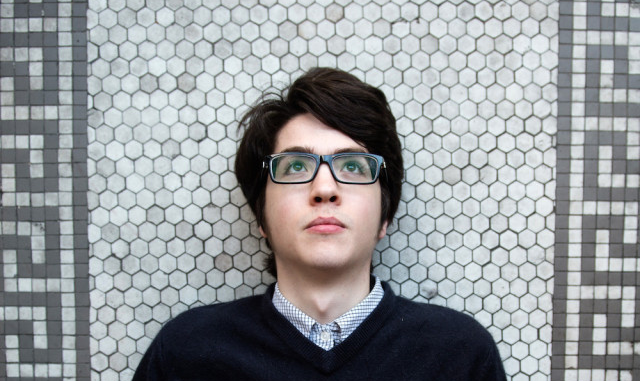 I was introduced to Car Seat Headrest by a friend around this time last year, mainly the Twin Fantasy album; he kept going on about how it was one of the best things he had ever listened to, so under his recommendation, I went to the artist’s Bandcamp page and downloaded it. Judging by the cover I just expected the album to be a generic lo-fi singer/songwriter album made by a twenty something in the midst of a manic episode but instead I ended up having one of the most rewarding experiences I’ve ever had with a record. Twin Fantasy had it all; honest, autobiographical songwriting, absolutely fantastic songs with rewarding choruses and an incredibly lo-fi production that complimented the music even more so – it honestly is one of the most underrated Indie albums of the decade and I highly recommend that everyone listens to it as soon as they can otherwise they’re seriously missing out. 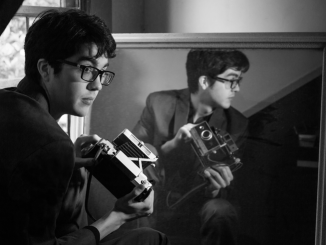 Anyway, Teens of Style is Car Seat Headrest’s debut on Matador Records, a label that has hosted some of the best independent artists ever, e.g. Sonic Youth, Pavement, Yo La Tengo, etc, and is a compilation of re-worked tracks from Will Toledo’s illusive back catalog but is mainly comprised from his Monomonia and My Back Is Killing Me Baby albums (which are available free of charge on their Bandcamp page). The last thing I expected from singer/songwriter Will Toledo’s bedroom project was for them to sign to Matador because it all seems to be near impossible for artists in the same vein to get signed to similar labels, but the project seems to be at home there as their music shares a lot of traits with artists like Pavement and Sonic Youth in many ways, mainly the songwriting aspect of it all. 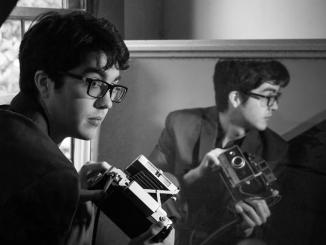 Car Seat Headrest’s most distinctive trait was the very lo-fi production and there hasn’t been much change to it at all with the exception of some clearer instrumentation; Will’s vocals still sound as if they’re coming out of a really muffled radio and I honestly don’t think they will sound better if they were clearer as the whole lo-fi aesthetic compliments the music even further. As far as the music is concerned, I think that it takes direct inspiration to that of early Guided By Voices material but thankfully it wasn’t recorded in such bad quality that it’s near impossible to hear the vocals most of the time. I could argue that Guided By Voices may be one of Will’s main influences along with Pavement, Sonic Youth and Dinosaur Jr. as you can clearly hear it in the instrumentation (especially the main riff of The Drum, it sounds as if it was taken straight out of Alien Lanes) and the lyricism. All of the songs even though they are mostly re-worked don’t really sound that different from their original counterparts, in fact, the only main differences are that they sound much more well produced and the vocals are significantly better; this definitely isn’t a criticism of the music as the newer versions do sound a million times better than the older ones and it is obvious that this album was made to introduce new fans to their music and serve as a starting point before they choose to delve into any of the more lo-fi albums in their discography. I am a bit disappointed that Will didn’t re-work any tracks from Twin Fantasy but after going back to the album I do think that it is brilliant enough to just be left alone, but I still would welcome any new versions of tracks from that LP nonetheless. I’ve listened to this album almost constantly since I got it; it’s honestly one of the most consistent lo-fi albums I have ever listened to and I have enjoyed every single minute of it throughout my near constant listens. Even the short interlude tracks, ‘psst, teenagers, take off your clothes,’ and ‘Bad Role Models, Old Idols Exhumed (psst, teenagers, put your clothes back on),’ are fun enough to keep you coming back to them on their own as they do provide a great bridge into the next tracks. My only legitimate criticism about the album is that I wish it was longer; forty seven minutes is more than good enough for a brilliant album but I thought it would be much longer because some of Will’s recent projects have stretched to at least two and a half hours with big fifteen minute tracks as opposed to your usual four/five minute one. ‘Teens of Style‘ is one of the most addictive and endearing albums of the year and I couldn’t care less if it’s only a collection of re-worked tracks because it all just works so incredibly well. If you are a fan of Indie music in general then I urge you to give this and other releases in Will Toledo’s discography a listen as his music is more interesting than most current acclaimed Indie artists as they definitely aren’t able to come up with something as brilliant as this. It also excites me to say that Will is already working on a new album for Matador called ‘Teens of Denial’ and will be filled with original tracks as opposed to the re-worked ones we received here – this album has made me have unnecessarily high expectations for it and I can definitely see them being fulfilled when the album comes out sometime next year. I seriously can’t recommend this album enough, please do yourself a favour and listen to it as soon as you possibly can.